KHS Musical Instrument Co., Ltd. was founded in Taiwan in 1930. KHS stands for Kong Hsue Sheh, which describes an improved quality of life through contributions to school and society. Throughout our many years of expansion and growth as a musical instrument manufacturer, we continue hold that music is an essential part of life for every individual and that it provides a positive contribution to society as a whole. KHS America was founded in 1985 as Jupiter Band Instruments, and continues this dedication to the enrichment of lives through music. The success of our mission is supported by our ongoing commitment to Musicians, Music Educators, and Music Retailers. This commitment requires a deep understanding of those who we serve. To this end, our employees are active within the music making community and have experience in all aspects of music retail, performance and education. We are passionate about the benefits of music education and are dedicated to providing instruments that allow musicians to do what they love – MAKE MUSIC! WE are BANDED. 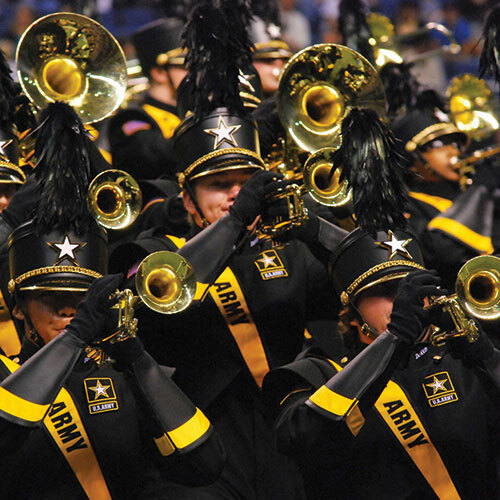 We also use BANDED to describe the COMMUNITY that includes Music Educators, Students of all Ages, Band Parents, Professional Performers, Hobbyist Musicians, School Music Dealers, and Instrument Manufacturers such as ourselves. 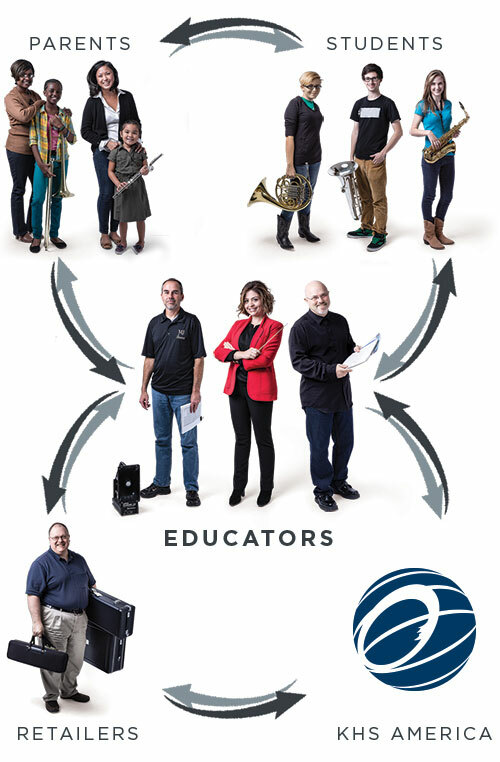 At the very foundations of this community, we recognize the importance of the important symbiotic relationship between School Music Programs, School Music Dealers, and the Instrument Manufacturer. In order to foster this connection, we have developed the KHS America Academic Alliance. We look forward to the evolution of this exciting program, and welcome feedback on how we can further enhance the work that you do in music education.